2007 WinnebagoVista Series M-33T-FordBase Price $34,650Mileage: 30,000 (+16%) $5,544Options:13,500 BTU Central/Ducted $325Furnace (13,000-17,000 BTU) $70Water Heater 6 Gallon Gas/Elec. w/DSI $1305 KW Gas $1,080Hydraulic Leveling System (Manual) $850Awning 17' - 19' (Each) $350Awning for Slide-out (Coach) $190Cruise Control $55Electric Step (Double) $140Fiberglass Exterior 31' and Over $950LPG Gas/Smoke Detector $45Mirrors (Power W/Defrost) $140Outside Shower $60Power Slide-Out Room 8' (Each) $1,230Rear Vision Camera/Monitor $550Skylight $100Tilt Wheel $55Trailer Hitch $70Book value TOTAL PRICE: $46,584This rv has been well taken care of, oil changed regularly, NO SMOKING, NO PETS, Lots of new stuff on this camper! 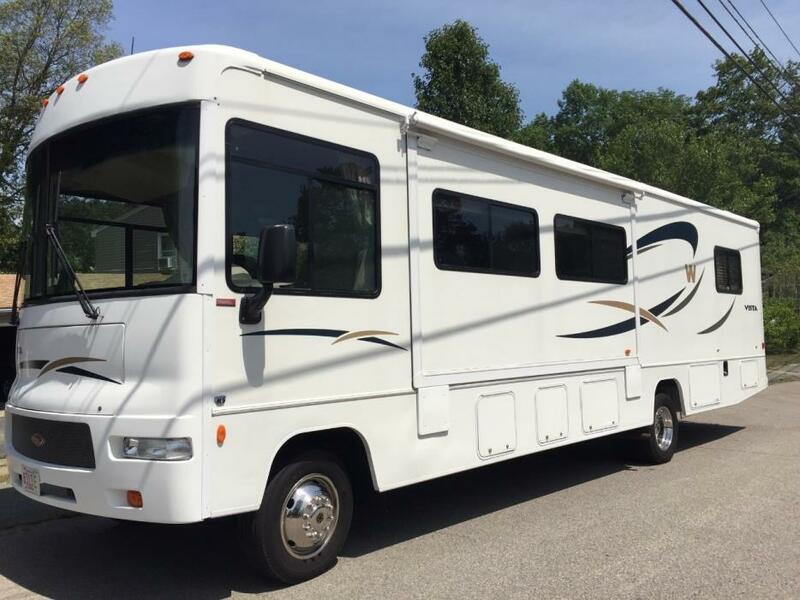 New driving lights, newer tires, new 6 gallon hot water heater, new kitchen faucet, new bathroom faucet, new am/fm//cd/satelite ready radio with bluetooth/usb/aux, tons of room, tons of storage, seatbelts for 10 passengers, sleeps 8! SUPER CLEAN! Drives like a dream! Excellent condition!